Wonderful, elegant, and exhilarating…ferocious as well as virtuosic. 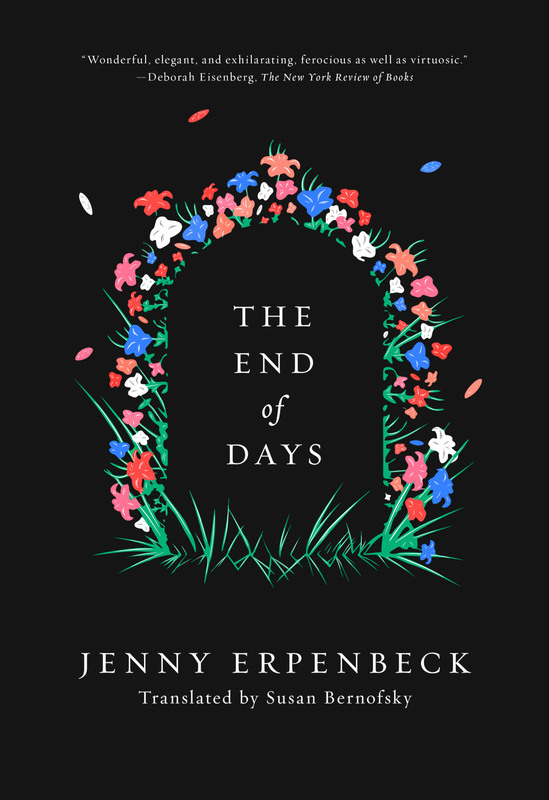 Winner of the Independent Foreign Fiction Prize and the Hans Fallada Prize, The End of Days, by the acclaimed German writer Jenny Erpenbeck, consists essentially of five “books,” each leading to a different death of the same unnamed female protagonist. How could it all have gone differently?—the narrator asks in the intermezzos. The first chapter begins with the death of a baby in the early twentieth-century Hapsburg Empire. In the next chapter, the same girl grows up in Vienna after World War I, but a pact she makes with a young man leads to a second death. In the next scenario, she survives adolescence and moves to Russia with her husband. Both are dedicated Communists, yet our heroine ends up in a labor camp. But her fate does not end there…. A novel of incredible breadth and amazing concision, The End of Days offers a unique overview of the twentieth century. Words and stories and memory are the vehicle by which the readers moves, intoxicatingly and fearlessly, through a dizzying but magnificent series of terrains. One of the finest, most exciting authors alive. Erpenbeck’s prose, intense and fluent, is luminously translated by Susan Bernofsky. Erpenbeck’s metaphysical fictions are strange and beautiful, stern and compelling. This devastating work is as light as a dream and as unrelenting as real life. […] No reader can feel untouched by Erpenbeck’s inspired, and inspiring, vision. This slim novel packs a mighty punch and richly deserves its numerous accolades. The End of Days is a brilliant study of loss and mourning. … Erpenbeck’s novel chronicles the twentieth century in a way that other Familienromane do not. Erpenbeck’s writing is a lure that leads us–off-centre, as into a vortex–into the most haunted and haunting territory. The brutality of her subjects, combined with the fierce intelligence and tenderness at work behind her restrained, unvarnished prose, is overwhelming.